At a Dec. 17 work session, West Linn city councilors noted that they wouldn't rush to make final decisions on funding allocations for some of the City's general obligation (GO) bond projects. This was, in part, because they were assured that some projects — particularly related to West Linn parks — were already underway or even completed. In late November, just about half a year after voters approved a $19 million bond renewal for parks, city facilities and transportation projects, the City announced that new athletic fields at Willamette Park were the first of the bond projects to be completed. 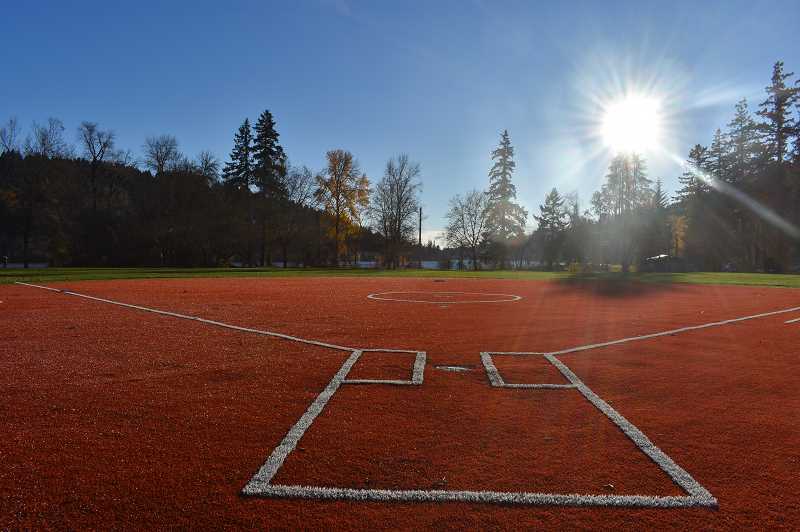 Workers completed upgrades at the Willamette Park softball fields Nov. 27, according to a City newsletter. The City replaced dirt infields with artificial turf on two of the fields, while completing soil conditioning on another. All of the fields received drainage improvements with the goal of extending the playability season. "All together, with in-kind contributions from the West Linn Softball Association, the cost was $75,000 under the initial estimate of $300,000," the City wrote in the newsletter. "Even the surplus soil will be put to use at other project locations for additional cost savings." The City projects to spend a total of $950,000 on athletic field renovations — with projects still to come at Fields Bridge Park (field replacements), Mary S. Young Park (a new drainage system) and Hammerle Park (a new backstop as well as storm drainage and drinking fountain improvements). After spending $237,731 on the first field projects at Willamette Park, $712,269 remains unused. Meanwhile, in 2018 the parks department started improvement projects at Hammerle Park, Sahallie Illahee Park, Sunset Park and Tanner Creek Park. Tanner Creek saw the most significant investment in 2018, with $80,159 spent on a project to install an outdoor fitness court and covered pickle ball courts. $23,205 was spent on a projected $160,000 effort at Hammerle that will include hazard tree removal and replacement, a new picnic shelter, re-surfaced tennis courts and a border around the playground. An initial investment of $46,429 was made at Sunset Park, which is being entirely redeveloped as a result of the construction of a new Sunset Primary School. While significant investments were made in parks during 2018, the majority of projects related to transportation and city facilities remained in pre-spending planning stages. The City did, however, spend $11,498 on Safe Routes to School improvements — a project that is estimated to cost about $1 million in total. Residents can track bond spending in real time using a financial dashboard that can be found at https://westlinnoregon.gov/go-bond.